Dr. James Chiu has more than 10 years' experience in mediation and has conducted over 100 mediation cases. He is also a Collaborative Practitioner and a member of the Hong Kong Collaborative Practice Group. Dr. Chiu was the first Adjunct Assistant Professor of The Chinese University of Hong Kong (CUHK) in mediation courses, and is an Honorary Clinical Assistant Professor of the Department of Family Medicine & Primary Care at The University of Hong Kong (HKU) teaching clinical interpersonal skills. He is an Honorary Advisor of the Hong Kong Society for Healthcare Mediators. James was an Assessor in general mediation for Hong Kong Academy of Law (HKAL), Hong Kong International Arbitration Centre (HKIAC) and Hong Kong Mediation Centre. 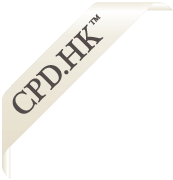 He is currently an Assessor and a recognised Lead Trainer and coach of Hong Kong Mediation Accreditation Association Limited (HKMAAL)-accredited mediation courses. Dr. Chiu is the Vice-Chairman of the Regulatory Framework Sub-committee of the Steering Committee on Mediation of the Department of Justice. He is also a member of the Working Group on Evaluative Mediation of the Hong Kong Mediation Council. James was a Member of the Working Group on Apology Legislation and of the Working Party on Review of Hong Kong Mediation Code. He has published 7 book chapters in three textbooks and has also co-authored a textbook “Mediation in Hong Kong - Law & Practice”, with Christopher To and Sala Sihombing. James has written extensively on mediation, negotiation and apologies, including an invited article on “Apology Legislation” in the Special Release to the 2018 Edition of Hong Kong Civil Procedure. His most recent work is the book “Apology Ordinance (Cap.631) Commentary & Annotations”, which he co-authors with two law professors in Australia: Prof. Robyn Carroll and Prof. Prue Vines. It was published by Sweet & Maxwell in March 2018. James is a frequent speaker at the HKAL-accredited CPD courses and has chaired or spoken in 80 local and international meetings and conferences in mediation.